This symposium is part of Project Palis-Balzan – Dynamical Systems, Chaotic Behaviour-Uncertainty, sponsored by the Balzan Foundation, from the award conferred to Jacob Palis by the Balzan Foundation in 2010 to Jacob Palis and IMPA and with support from CAPES, CNPq and FAPERJ. 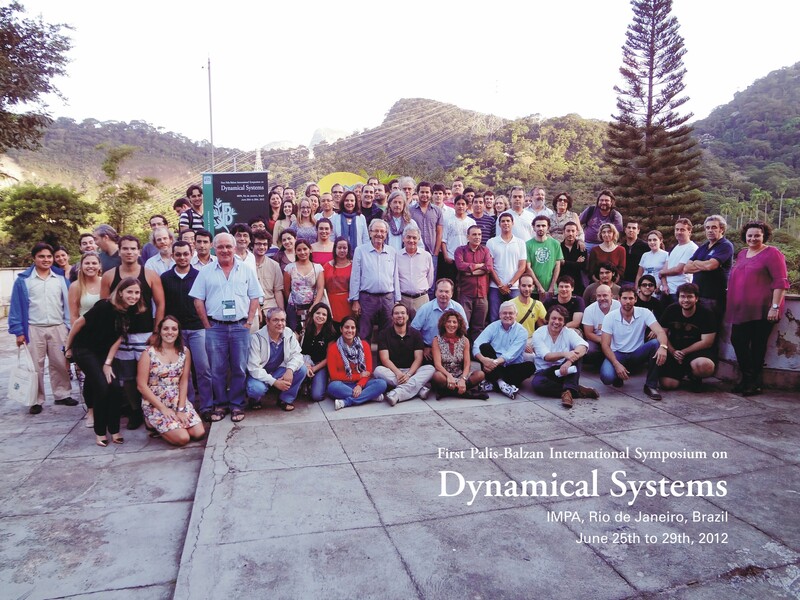 There is a great tradition of great events in the area of Dynamical Systems at IMPA. In this particular case of Palis-Balzan Symposium, we are initiating a series of three events, this being the first. 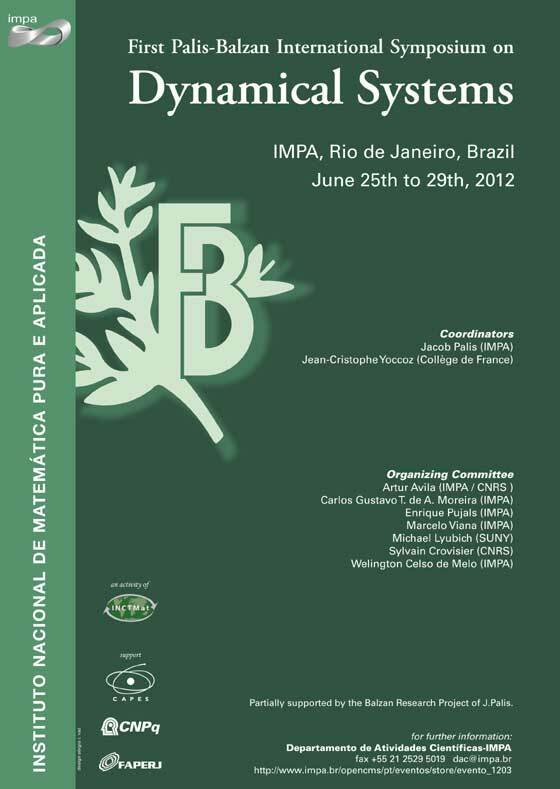 The second symposium will be held at the Institut Henri Poincare, Paris, from June 10-14, 2013 and the third, back to IMPA in 2014. C^r dichotomies between Newhouse phenomena and dominated splittings, at homoclinic points.